By now all of you who read the blog must have known about my immense love for lipsticks and obviously the brighter it is, the better for me. A lot of my money goes in buying lipsticks but there is one area where I manage some savings and that is in the area of lip glosses. I’ve never been a fan of them and I hardly buy them unless the color really calls out to me. Major reason for not liking glosses is the sticky factor which I absolutely HATE and that they do not last as long as lipsticks do. 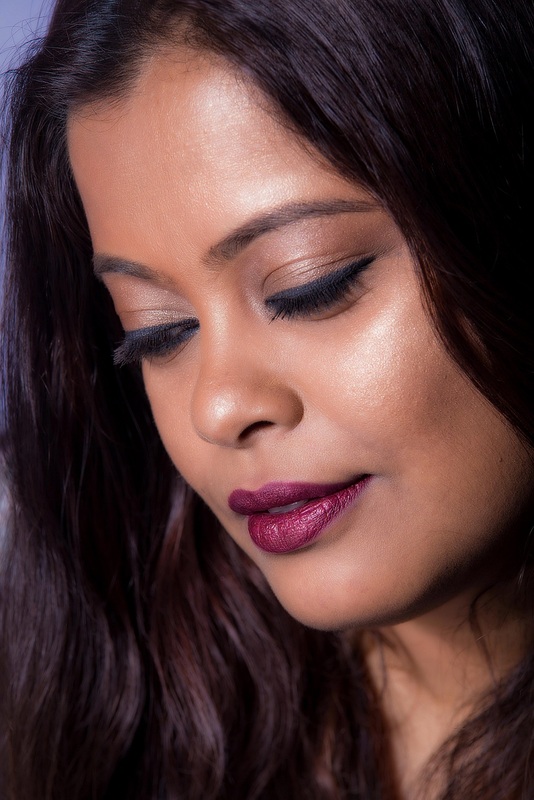 When Maybelline launched their new Colorsensational high shine lip glosses, I was tempted because the colors are all super pretty and everyone has raved about these in the international blogs. I was in two minds whether to go ahead and buy or not but that confusion was solved by Maybelline itself. Thank you so much for sending one across! I have tried it and a non-gloss lover is saying that it is pretty awesome! I got the shade Gleaming Grenadine and that is what Ill talk about here. 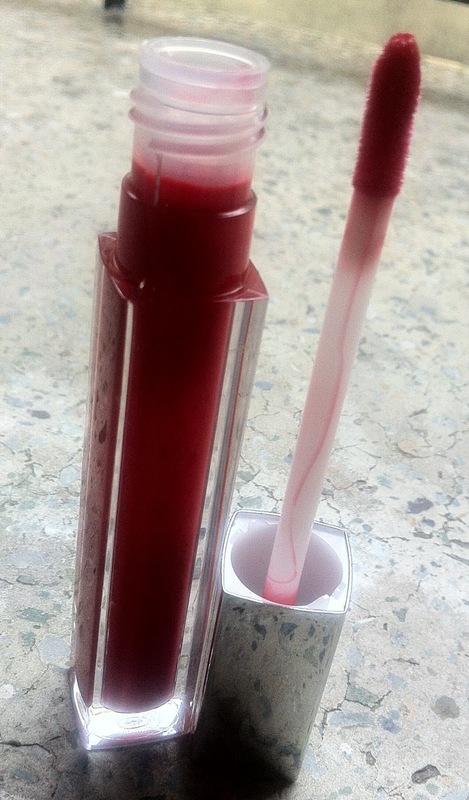 Gleaming Grenadine is a pure red which is housed in a square tube packaging with a silver cap. 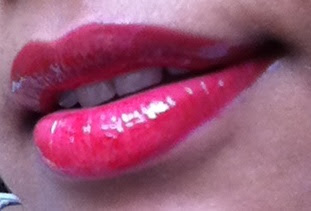 Its a large tube and bulkier in look and feel than other glosses. Would have definitely liked this to have been slimmer and more attractive to look at. Inside, the applicator has a slanted sponge tip. I would have preferred the regular doe foot applicator. The smell of the gloss is nice and fruity. Thankfully the scent is not too strong. The gloss is a delight to apply on the lips as it goes across so smooth. 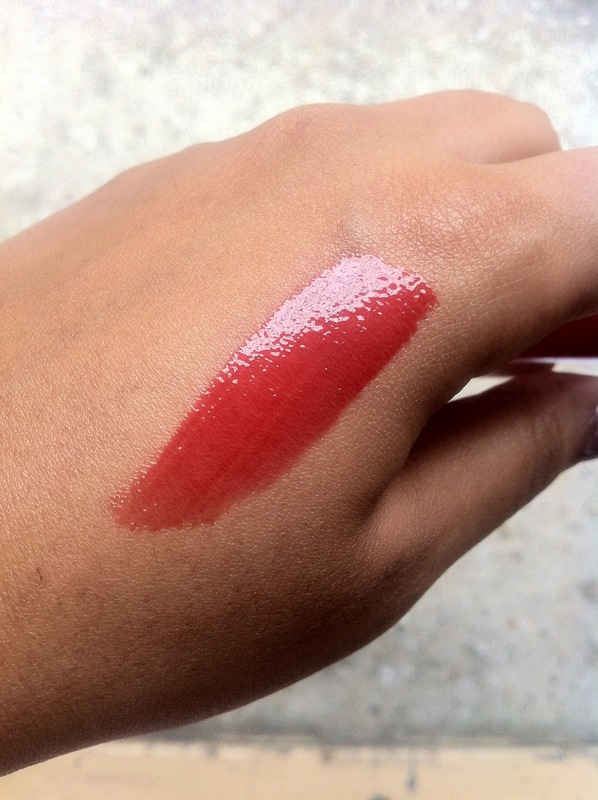 It has a creamy texture with decent pigmentation. Did notice that it is slightly thicker as compared to some other glosses but the one area where it excels is that it is completely non-sticky. So no getting gloss on hair and face after applying. 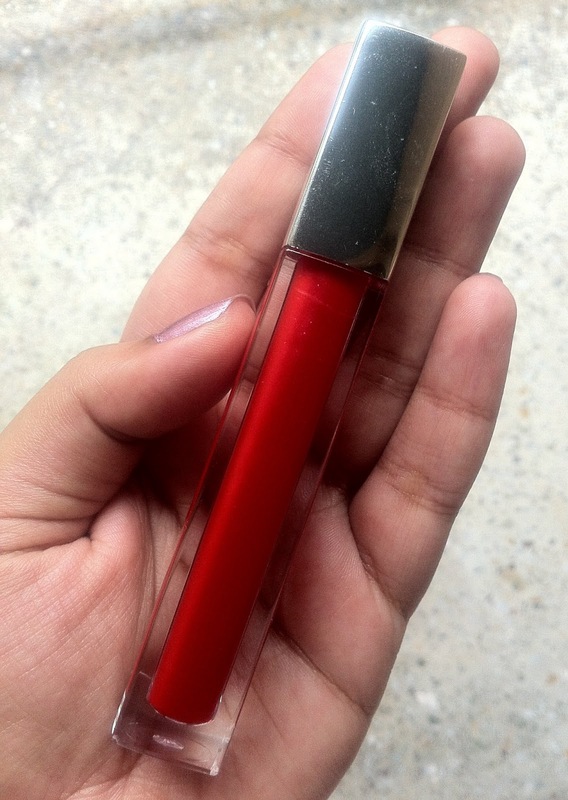 Since this is a bright red, the coverage is quite good and I did not feel the need to apply on top of a lipstick. One swipe gives a lovely sheer finish but you can build it up to get bright juicy red lips. The formula is moisturising and it does give considerable amount of shine to the lips when first applied. The high shine however disappears after an hour but the color stays for about 3 hrs on me. Anyone who wants to wear red but is afraid of wearing bright red lipstick, Gleaming Grenadine is a great option. The gloss is non-sticky, has a moisturising creamy texture, good pigmentation, gives a lovely shiny finish and above all is very reasonably priced at Rs 350 for 5ml. All you gloss and non-gloss lovers, you have to check this range out. Totally recommended! Have you tried any of the Maybelline Colorsensational glosses? Which shade is your favorite?